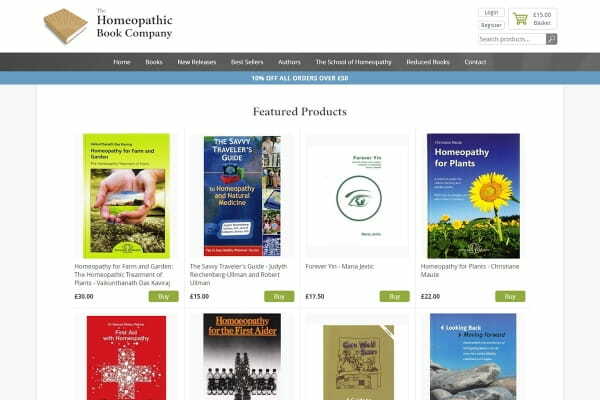 The Homeopathic Book Company had an existing website which appeared cramped, with small product images and a mobile-unfriendly layout. They approached me to discuss different options for either updating the existing website or building a new one. They decided on a new website including updated branding. 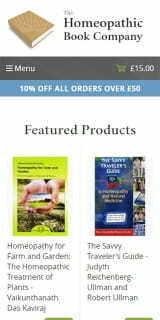 The new design puts focus on the products which also have much larger images. The design is also responsive for mobile which makes it much easier to use, and should enable it to rank better in search engines. To save hours of tedious work, I was able to write code to import all existing product information from the old website, which was then reformatted to ensure it fitted into the new website neatly.